John A. Martin & Associates, Inc. It’s a Bird, It’s a Plane...It’s a Drone! - John A. Martin & Associates, Inc.
John A. Martin & Associates is providing structural engineering services for several of Downtown Los Angeles’ newest towers. One of those notable efforts is Trumark Urban’s development at Grand and Eleventh (TEN50) which recently broke ground. 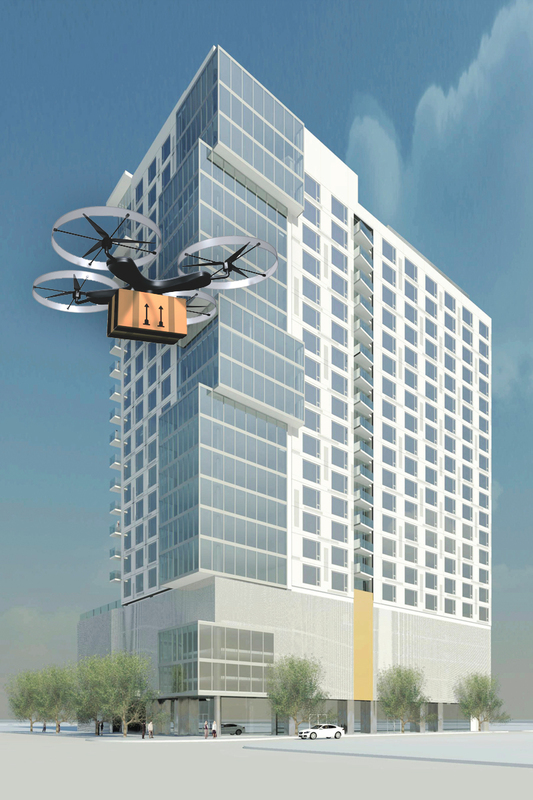 The 151-unit project is touted as the first ever to offer a drone landing pad. Located on a 6th floor amenity deck, the space is intended for Amazon deliveries. The company recently received a green light to test drones for this use.